Update 10/23: The hits just keep on coming. We're now seeing reports of a "smearing" effect when scrolling through apps on the Pixel XL 2. We'll expand on that at the bottom of this article, but it's still worth reading the background information on issues with LG's new POLED displays. When the LG V30 hit shelves earlier this month, we were excited to see how LG's all-new POLED panels would stack up against Samsung's class-leading AMOLED displays. It didn't take long to realize there was no comparing the two. We took our LG V30 out of the box, powered it on anxiously ... and were immediately disappointed. The blacks looked almost gray — as if this weren't an OLED panel after all, and instead, was suffering from the type of light bleed you'd normally only see on a backlit LCD display. To quote our writer Kevin at the time, "I don't even know how to describe it. It's so strange." 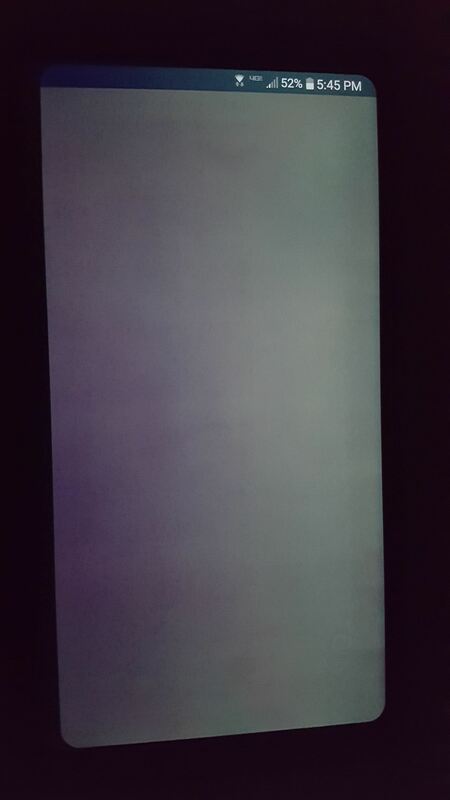 Over the next few days, reports of the V30's POLED screen suffering from banding, light bleed, uneven colors, and various other defects began to pour in. These were the type of quality control issues that plagued early OLED panels when the technology was in its infancy — the problems we all thought had been solved over the years. It was around this time that prospective Pixel 2 XL buyers were starting to worry. 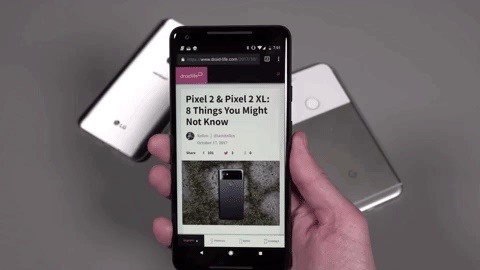 You see, Google invested nearly a billion dollars in LG Display hoping the infusion of capital would speed up their development of a smartphone-sized OLED panel, and the Google Pixel 2 XL was set to use the same 6-inch, 18:9 screen found in the V30. Once the Pixel 2 XL started shipping out, the panic died down just a bit. 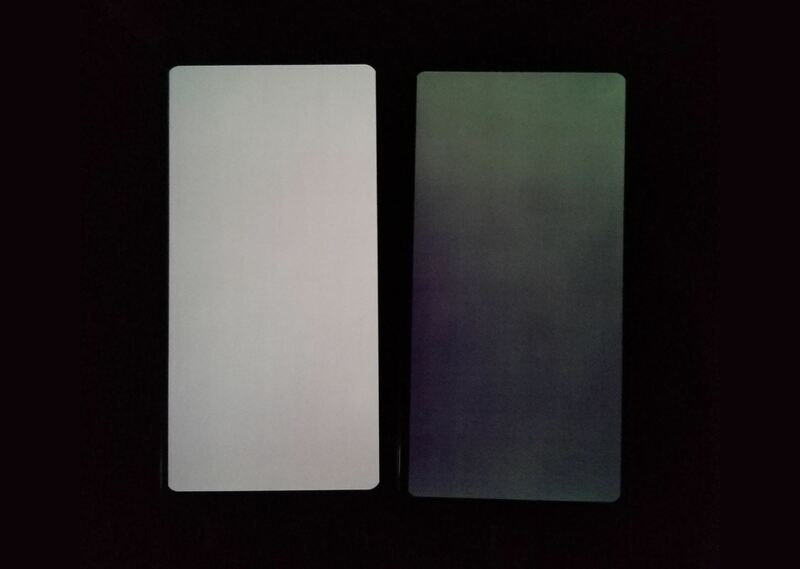 The banding and uneven colors that plagued LG's first batch of POLED screens didn't appear to be an issue for Google's flagship, as evidenced in the comparison shot by Redditor aeppacher below. 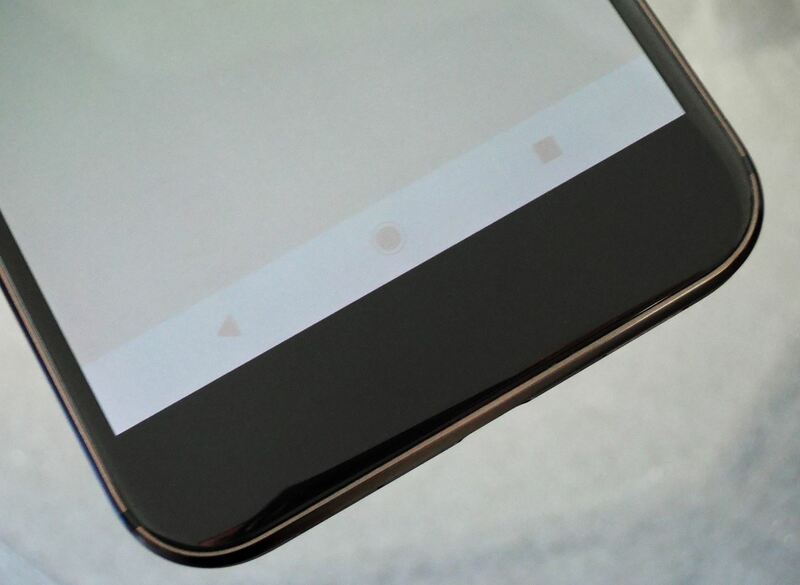 I suspect that Google simply raised the minimum brightness on the Pixel 2 XL to avoid this issue, but others have speculated that perhaps Google reserved a higher-binned POLED panel than the LG V30 was using. Banding and uneven colors aside, the Pixel 2 XL's POLED screen was not without its faults. Most notably, whites shift to the cool end of the spectrum when the phone is viewed from an angle, and according to several users, colors are fairly drab. However, both of these issues could be Google's fault, not LG's. Android Oreo added sRGB support, so it's likely that Google has tuned its display to produce more accurate colors than the vivid AMOLED screens Android users have become accustomed to. As for bluish tint at off-angles, the Pixel 2 has a circular polarizer to accommodate sunglasses, and that could be distorting the color temperature. All things considered, this could have been a non-story had the problems stopped there. Maybe the V30 just got a bad batch of POLED screens, and maybe Google's display calibrations explain the Pixel 2 XL's quirks. But the problems didn't stop there, of course. 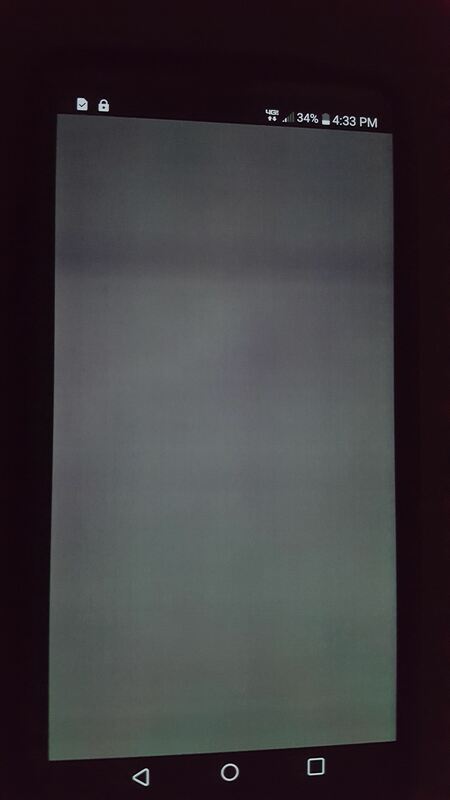 Now, we're seeing several reports that the Pixel 2 XL is suffering from screen burn-in after only a few days of moderate use. The on-screen keys and elements in the status bar remain static at all times, which has caused the pixels that make up these icons to get "stuck" in a dimmed-down state. When viewing a full-screen image of solid color, it's like the on-screen navigation bar is almost still there. The reports of screen burn are just now starting to roll in, but they're already pretty damning. So far, Andrew Martonik and Jerry Hildenbrand of Android Central have both noticed it, as has Stephen Hall of 9to5Google. All three writers have stated that their Pixel 2 XLs were only used moderately for a period of less than a week. At least the burn-in issue hasn't gone unnoticed. Google responded to an inquiry from The Verge to address the problems with their larger flagship's POLED screen. Their statement is mostly fluff, but the key takeaway here is the fact that Google is looking into the issue. Not that they could do much if it's indeed a problem with LG's display tech, but hey, at least they're "Actively investigating." To be clear, screen burn-in is a problem with all OLED displays — it's just inherent to the tech. Every Galaxy phone I've owned has had it, every previous Pixel or Nexus with an AMOLED screen I've used suffered the same problem, and even the upcoming iPhone X undoubtedly will. But with the exception of the Galaxy S3 (one of the first mass-market AMOLED phones), it took at least six months before burn-in even started to become noticeable — not six days. It's also worth noting that the regular-sized Pixel 2 does not use a POLED screen, so none of these issues are affecting Google's smaller flagship device. But with Apple swallowing up a huge chunk of all available AMOLED screens for the iPhone X, many other manufacturers will be looking to LG for the displays in their upcoming flagship phones. The original revision of this article ended several paragraphs ago, but sadly, we keep having to tack on extra information. Now, Artem Russakovskii of Android Police and Stephen Hall of 9to5Google have noticed a "smearing" effect with black pixels when scrolling rapidly through apps. Essentially, the Pixel's pixels (pun intended) aren't turning off fast enough when they need to display something black, which results in black elements appearing to bend or warp when you scroll back and forth rapidly. This has been a problem with OLED screens in the past, but again, not quite this bad, and not since the days of the Galaxy S4. It's a hard effect to explain, and it's pretty hard to notice, but you can check it out in Artem's tweet here. Seriously, things have gotten so bad with this display that it's on the verge of ruining one of the most anticipated smartphone releases of the year. Yes, most of these problems are with LG's display, but the blame should lie squarely on Google's shoulders — after all, this is a #MadeByGoogle phone. As for LG, it seems like we're starting over from scratch with the Korean tech giant's first batch of POLED screens. The growing pains Samsung endured as AMOLED tech matured are hurdles that LG will eventually have to clear themselves. For now, though, it's become clear that LG's POLED tech is years behind Samsung's AMOLED. Let's hope they catch up soon.